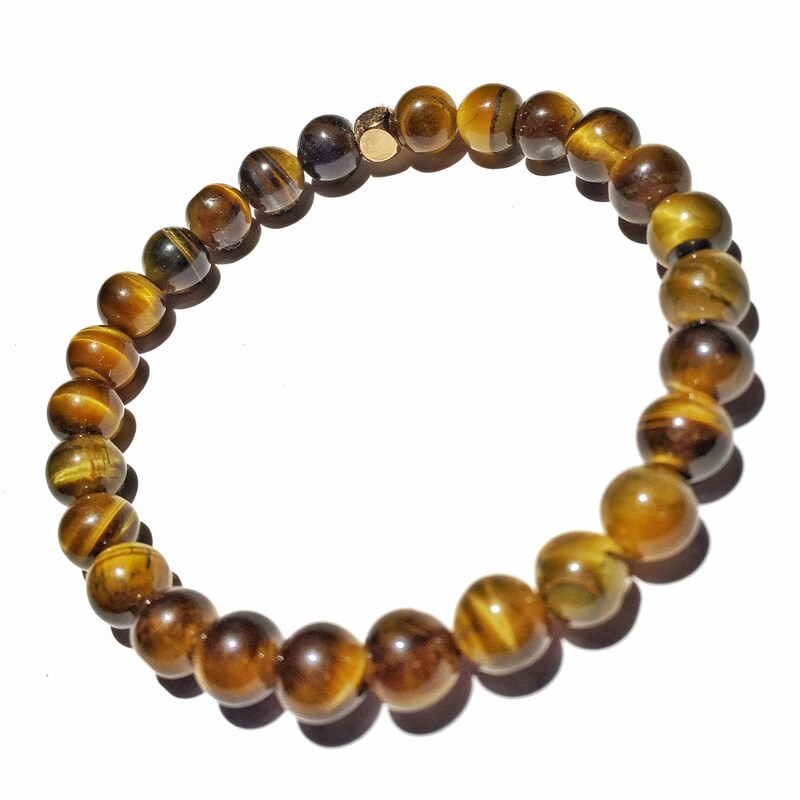 Brown tiger eye with gold knot cover. 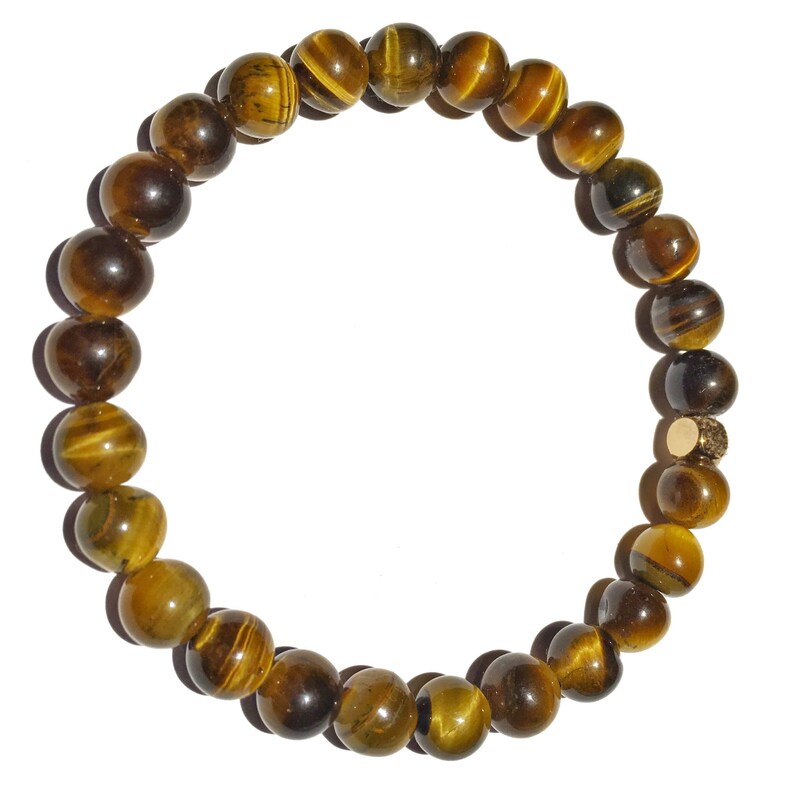 Great healing energy. Easy on and off. 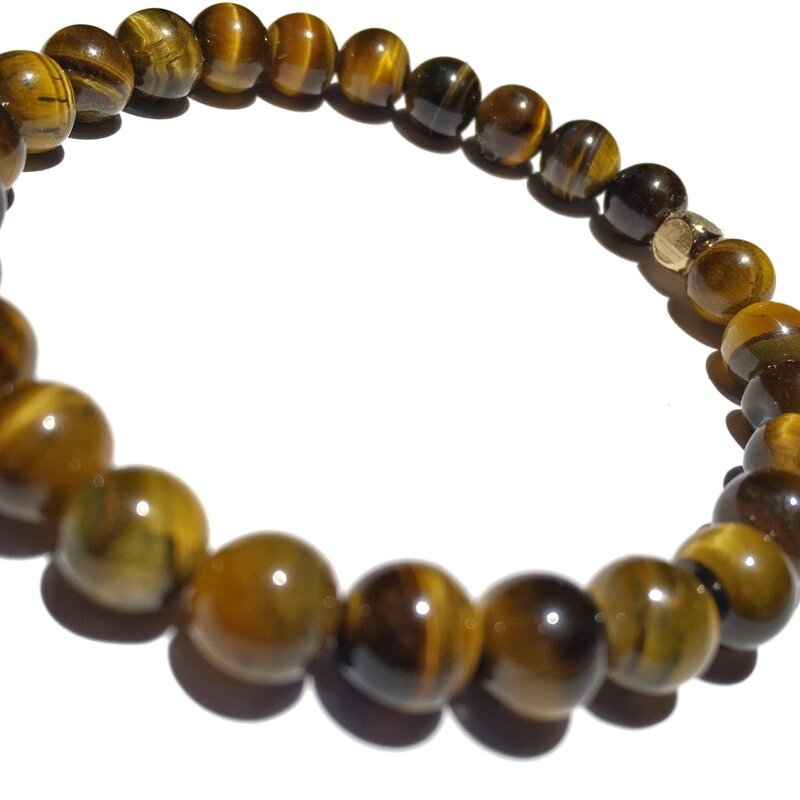 Tiger eye is associated with energy of: focus, determination, protection and stability.